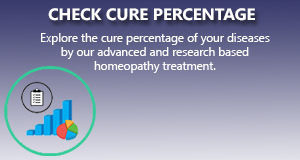 Homeopathy remedies reduces the symptoms considerably within a short period of treatment. In our Multicare homeopathy online treatment center peoples suffering from prolapsed disc have been benefitted using our advanced homeopathic treatment packages. We apply the most scientific and research based homeopathy treatment package that gives a long standing cure to the ailment.